Pretty apartment in a residence with a gate. It is located on the 1st floor and is composed of a bright living-room with an open kitchen, an entrance that can be done as a cabin-bedroom and a shower-room. On the canal side, a large loggia with a beautiful view. 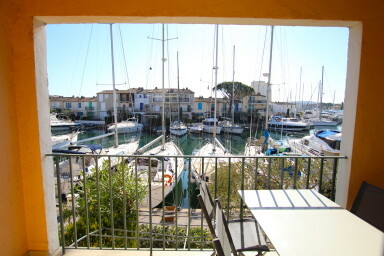 Perfect for a fist accommodation in Port Grimaud.